Many will think that Treve’s bid for a third-straight Prix de l’Arc de Triomphe is a mere formality this Sunday. With that in mind then, can you really afford to miss Ladbrokes offering 3/1 on Criquette Head-Maarek’s wonder mare simply making the frame? The five-year-old is just a 4/5 shot to take the race in Paris and become the first horse in history to claim three renewals of Europe’s richest race. 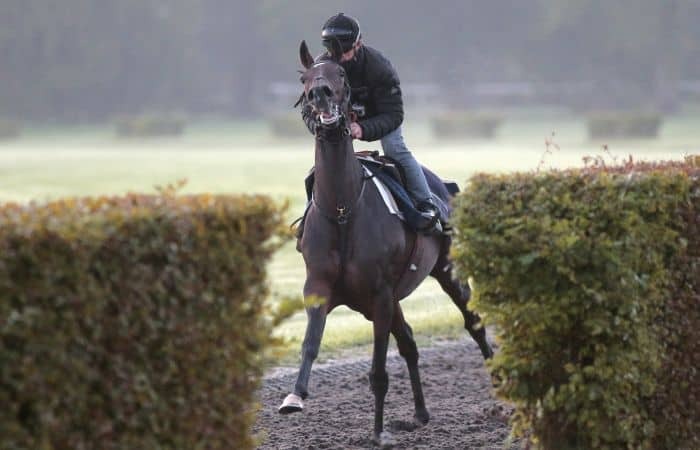 Derby winner Golden Horn has been supplemented for the contest and could be the fly in the ointment, but even if John Gosden’s colt lowers Treve’s colours, that shouldn’t be a problem for those taking advantage of this offer. The Al-Shaqab Racing-owned mare has only finished outside of the first three once in her 12-race career, that coming when reportedly suffering a back problem. “She is better than last year. She is back to her best, that is for sure. Last season her feet were not right and then her back was all over the place,” the Chantilly handler explained. If the lady who looks after her has it right, then there is simply next to no chance that three of her challengers will finish in front of Treve as she bids to become one of the greats. For that reason, there is no better time to sign up to Ladbrokes and watch the action live on Channel 4 as all eyes turn to Longchamp.